The Westbank Expressway route provides service to and from both Westbank Terminals: Walkertown and Wilty. It connects with all Westbank routes and provides service to the New Orleans CBD. 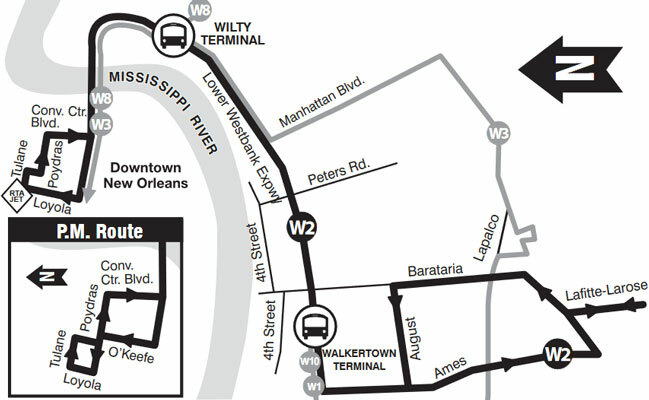 The W2 route also provides service between Walkertown Terminal and Lafitte-Larose Highway, traveling along Ames Blvd. to Lafitte-Larose Highway and returning on Barataria and August.